Sonic turned 25 this year, and Sega marked the occasion by confirming that the popular character would be getting two new outings next year, one of which is the gorgeous-looking Sonic Mania. Art house Cook & Becker also has something special for fans of the Blue Blur coming next year - a coffee table book which shows off a wide range of artwork and assets related to Sega's mascot. 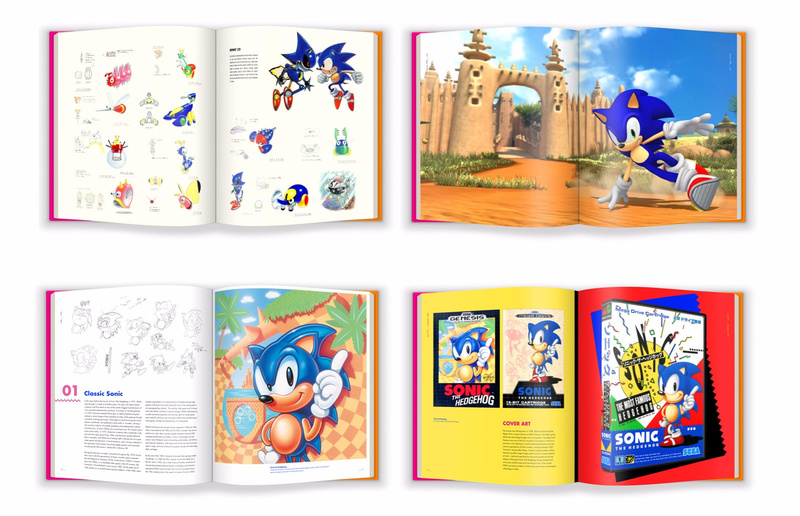 Expected to launch in April 2017, the Sonic The Hedgehog 25th Anniversary Art Book comes in two versions (one of which is limited to just 2,500 copies) and features interviews with some of the key figures from Sonic's development history. The 'Sonic The Hedgehog 25th Anniversary Art Book' honors the video game icon with a striking 'coffee-table style' volume about the art and visual design of his universe. 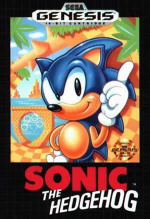 It contains key art, illustrations, promotional art and rare material from the timespan 1991 – 2016, and has a complete written history of the origins and evolution of Sonic as a design icon. Detailed accounts by Sonic Team-members such as Yuji Naka, Takashi Iizuka, Kazuyuki Hoshino and Yuji Uekawa explain key design decisions shaping Sonic The Hedgehog over the years. The Collector's Edition is a hardcover book with a separate dust-jacket. 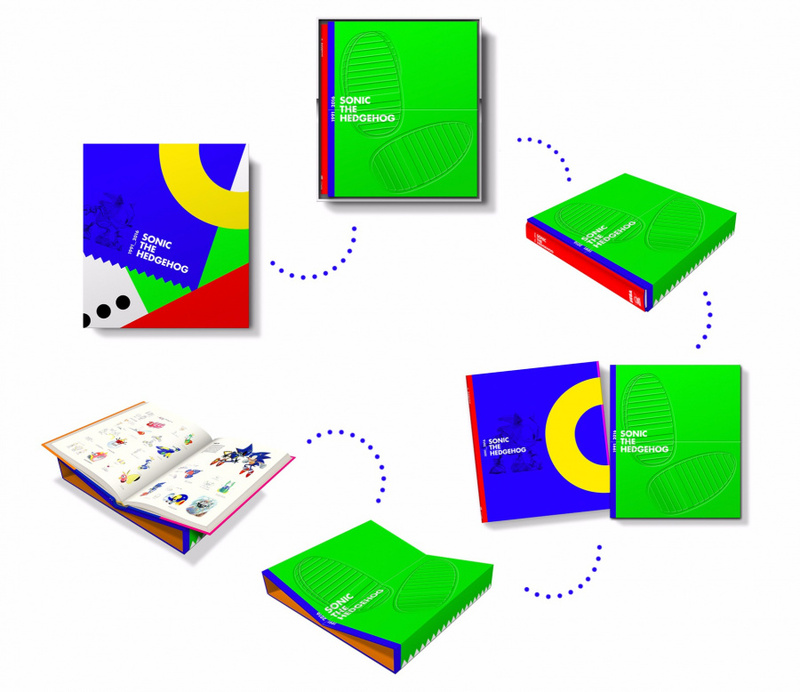 It comes in a luxurious outer box with a modernized 'classic 90's' Japanese Sonic design and has a special inner sleeve that conveniently folds into a display stand for the book itself. 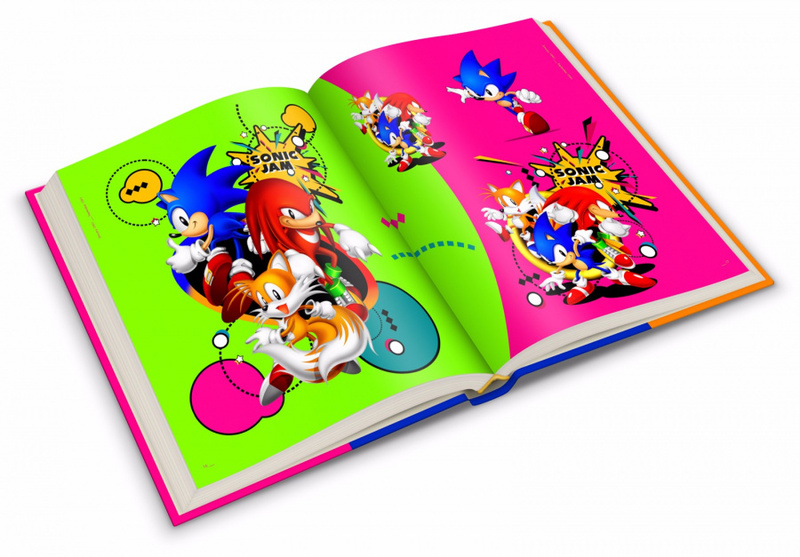 The Collector's Edition also contains an exclusive, newly drawn matted art giclee print by Sonic Team lead artist Yuji Uekawa, the artist famed for the 'Graffiti style' that ushered in 'modern Sonic'. The standard version is $45, while the collector's edition is $108. Will you be ordering either of these? Let us know by posting a comment. Those pictures look like computer generated mock ups or something. Not particularly attractive. Show customers what they will actually be receiving. You're really bankrupting me with these articles guys. So many high quality coffee table books coming out at the moment. I already ordered the Super Famicom Art Book and the Mother 3 Handbook this month, my wallet can't take much more. Preorder is in, couldn't justify the limited edition one though. It's already expensive enough for what it is. Looks good, not sure if I would get the collectors edition though. You're right. I do want that on my coffee table but not for that price. Just bought a collector's edition, too good to pass up!! I might pick up the standard edition. I don't like Sonic enough to get a collector's edition. I got Hyrule Hystoria,might as well ge this.So i have artbooks of both my favorite videogame series.No way I'm getting the limited edition though. $45 is too much in my opinion, but I love Sonic so I must get it. $108 is just ridiculous.